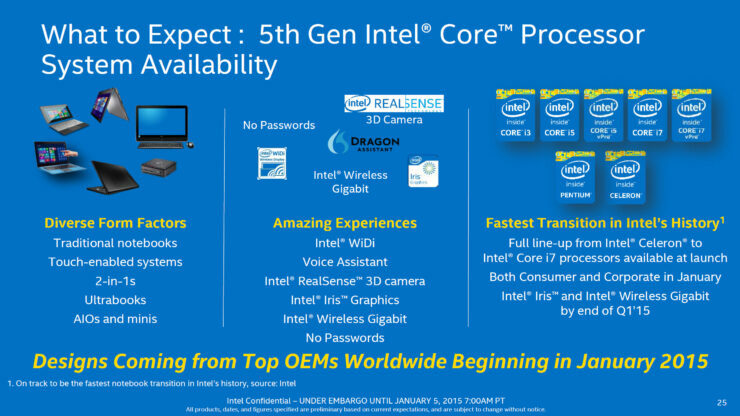 Intel has officially launched their latest 5th Generation Broadwell-U generation of 14nm based core processor family for a wide range of platforms. 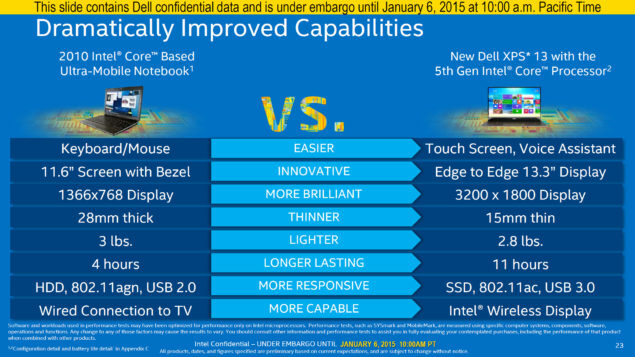 The launch comes three months after Intel unveiled their Core M “Broadwell-Y” processors with 4.5W TDPs. 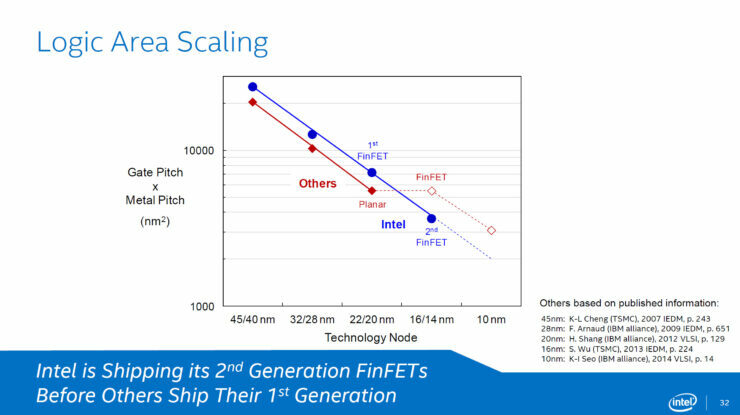 The new lineup keeps the same architectural DNA of Broadwell while enhancing performance and power efficiency compared to last generation Haswell processors. The lineups that Intel introduces today includes several 15 – 28W Core i7, Core i5, Core i3, Pentium and Celeron series processors which we will detail feature to feature in this article. Intel unveiled their first Broadwell chip, the Broadwell-Y which was codenamed Core M a few months ago and we can find several consumer devices based on the architecture in the market today. The Broadwell-U -is the next step in the Broadwell family which has a few updates over Broadwell-Y in the form of more transistors, better performance, more graphics execution units and so on which result in a product which has performance and power optimizations in mind. While Broadwell-Y powered the thin mobility and notebook sector ranging from devices such as tablets, ultra-thin notebooks, small and large screen 2 in 1 form factor devices, Broadwell-U on the other hand will feature a slew of Core series processors powering All-In-One desktops, Mini Desktops (such as NUCs), Mobile workstations, Enthusiast notebooks, Traditional notebooks and even some large screen 2 in 1 devices with displays greater than 13.3 inches. 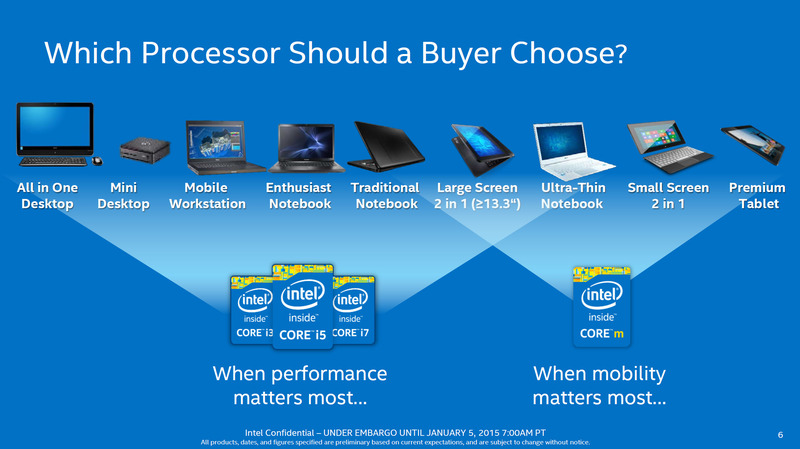 In total, there are 17 new processors launching in each category of Core i7, Core i5, Core i3, Pentium and Celeron branding. 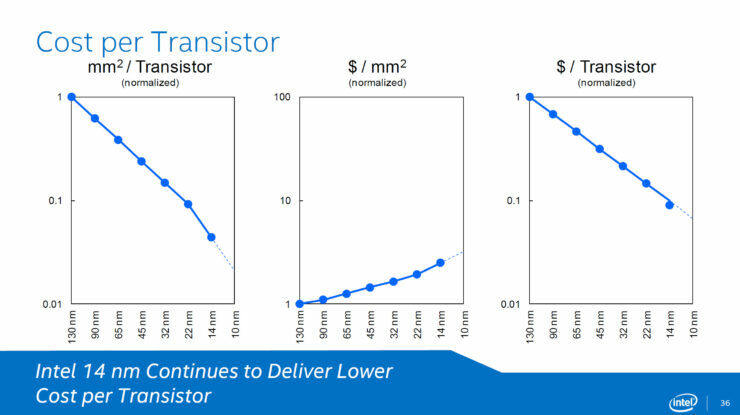 Each processor will be targeted towards a certain platform of choice by the OEM to power their next generation 14nm based devices. 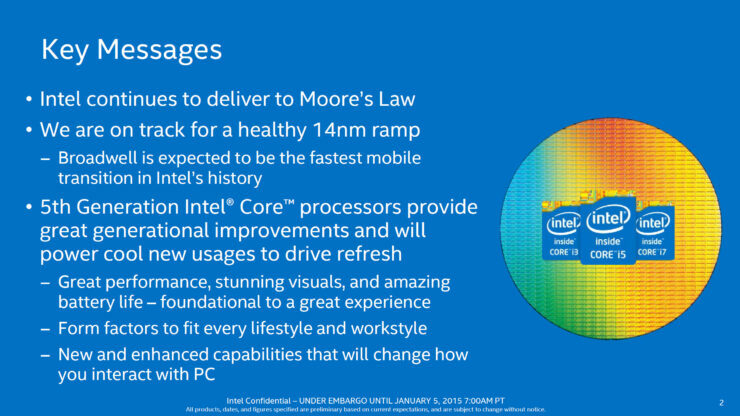 There’s much to talk about Broadwell-U but before we progress forward towards the technical details, let’s take a look at Intel’s plans for 2015. 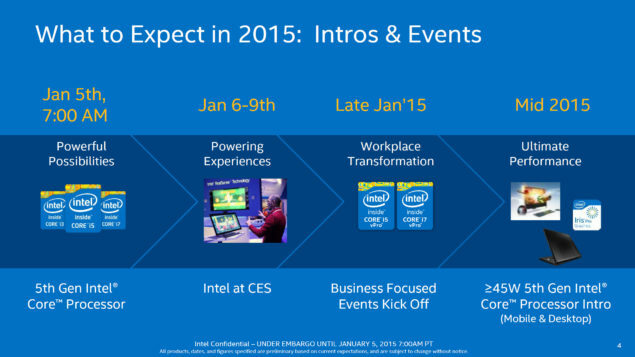 After Broadwell-U’s launch today, Intel has some key events planned for 2015. First and foremost is the CES presentation which begins tomorrow on January 6th where Intel would host a range of new devices based on their Broadwell-U processors plus update on their processor roadmap. The second update will come in the form of a buisness focused event in late January 2015 which will show a range of new workstation processors in the Core i7 and Core i5 (vPro) CPU family. The last update is the performance update for both desktop and mobility processors. As can be seen, Broadwell-U and Broadwell-Y are the 4.5 – 28W series which belongs to the low power devices sector. 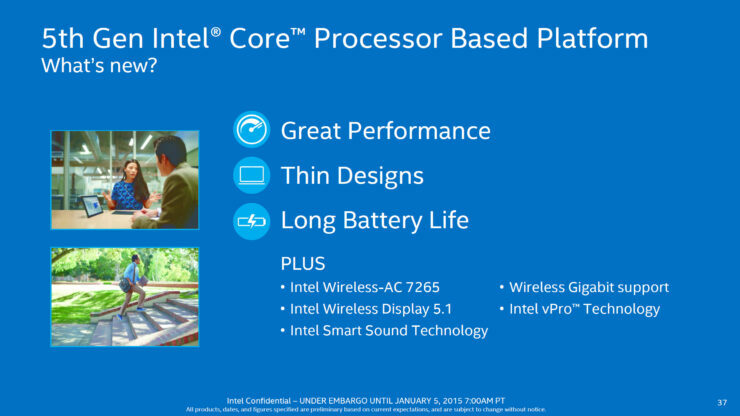 The more performance minded approach will arrive in mid of 2015 with the arrival of 45W and greater Core processors for both desktop and mobile platforms. 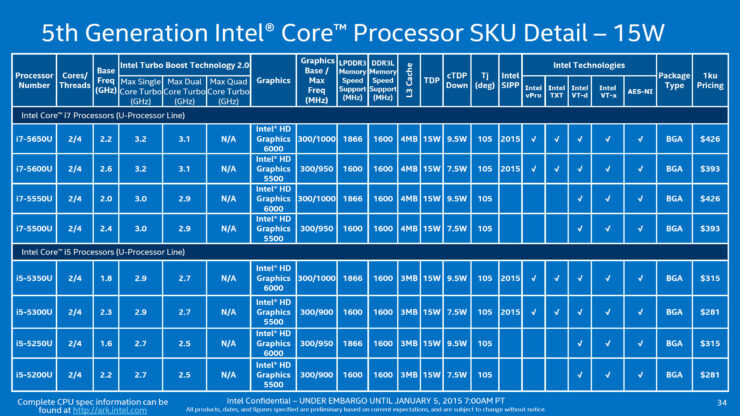 Intel has already mentioned that Broadwell-K series is planned for mid-2015 with the latest Iris Pro graphics and some improvements to IPC so we will see where it goes from that. 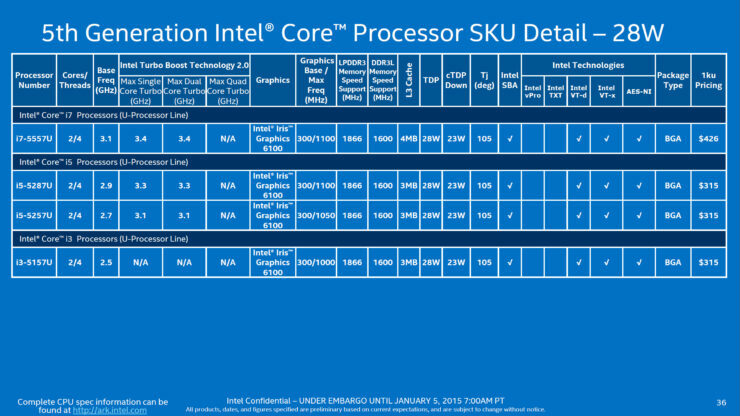 While this much is official, some rumors do point out that Skylake which is the codename for Intel’s 6th generation core family will also arrive during 2H 2015. 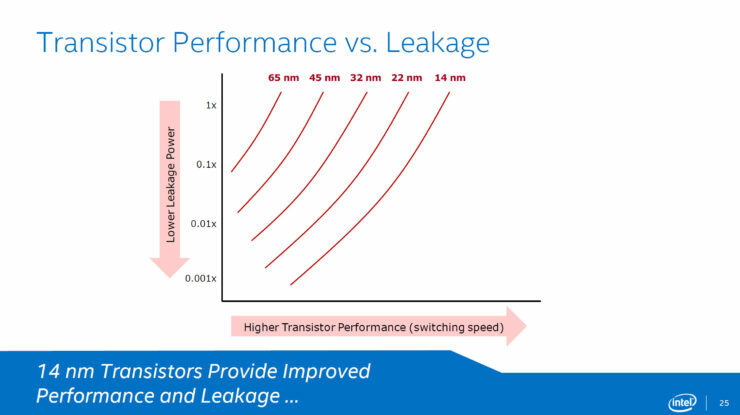 Just like Core M, Intel’s Broadwell-U makes use of the latest 2nd Generation Tri-Gate transistor technology. 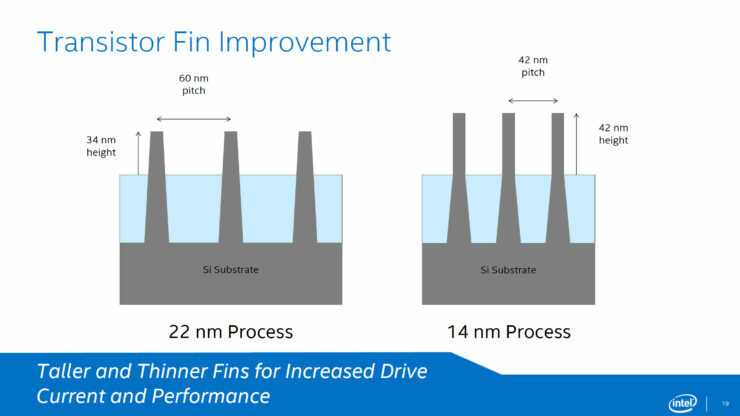 There has been much rumor and reports regarding the delays of Intel’s 14nm which have been true since this launch was actually going to take place earlier this year however moved to Holiday 2014 due to production issues in Intel’s fabs. 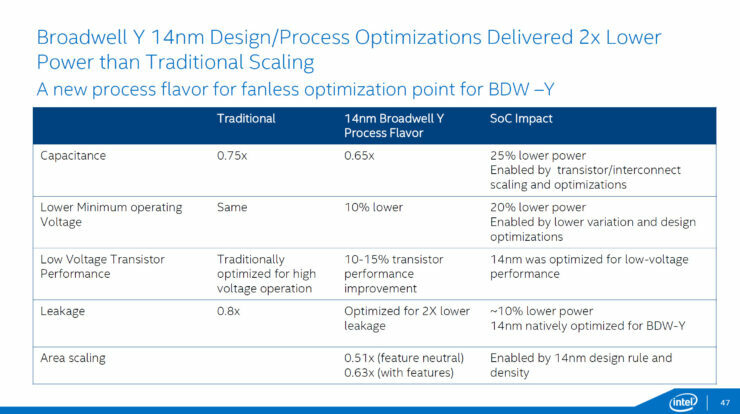 However, after all this time, we finally have a first look at the 14nm Broadwell processor which has now been qualified for volume production. 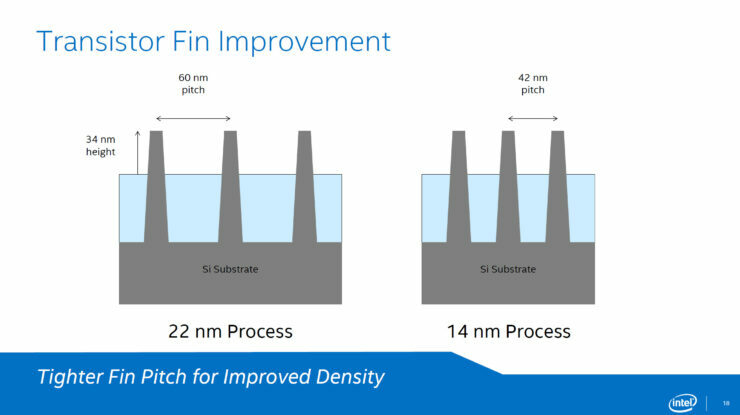 The 14nm processor node makes use of the second generation tri-gate (FinFET) transistor technology which deliver better power, performance, density and cost per transistor. 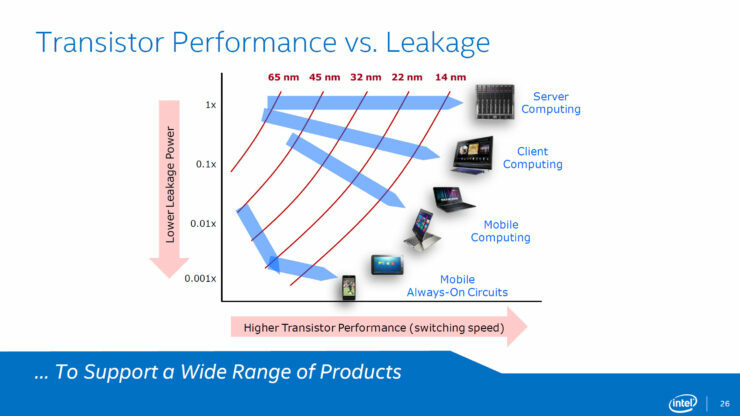 Just like I mentioned previously, Broadwell will be used to manufacture a range of products from high performance to low power. The design of each transistor fin is now more denser and compared to the 22nm node, 14nm is much smaller and efficient. 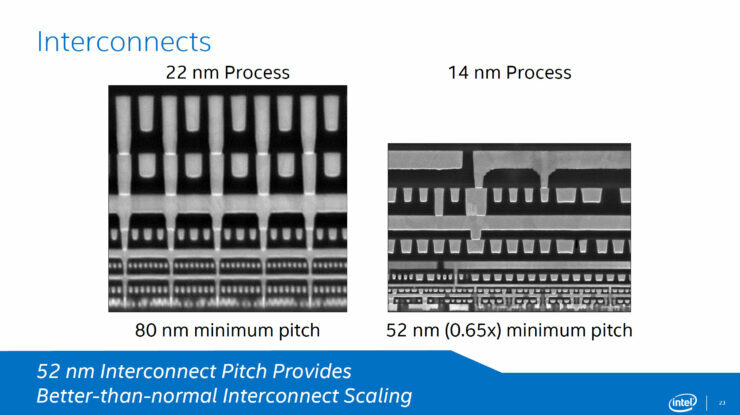 The Broadwell-U series is based on the 14nm process node from Intel and has some new features, however this section is entirely dedicated to the architectural improvements. 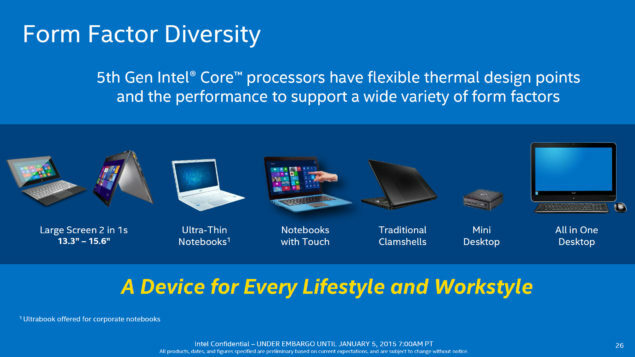 Represented as a Tick from Intel’s Tick-Tock model, the Broadwell-U isn’t a wide step away from Haswell-U. 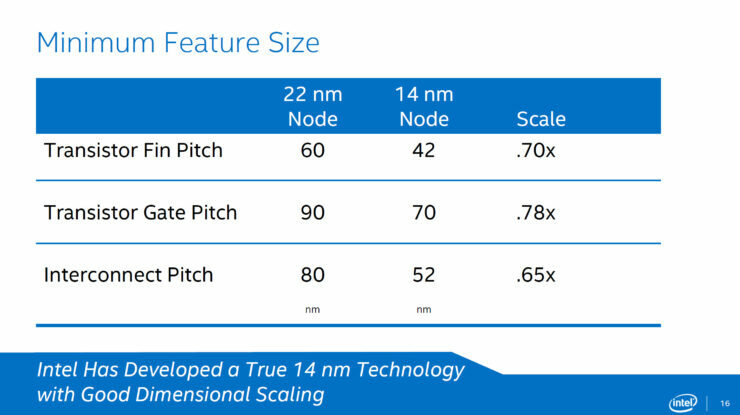 Based on a smaller, 14nm node, Intel’s Broadwell has managed to integrate new features aside from just core enhancements. 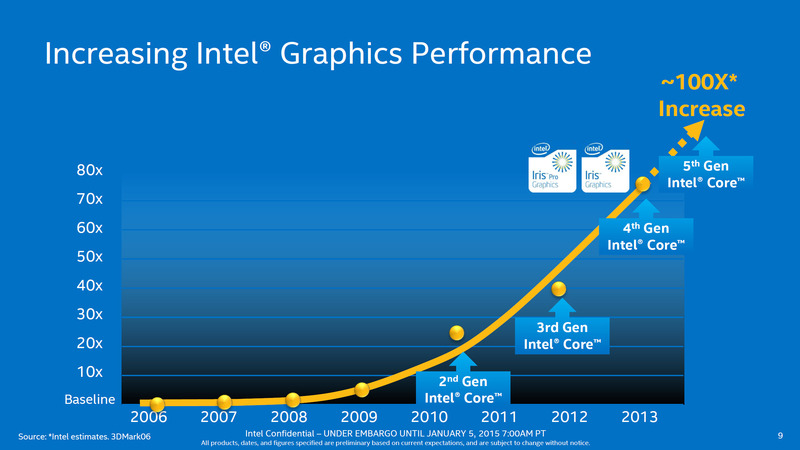 Given Intel’s slow generation over generation IPC improvement, we are looking at only 5% increase in instruction per clock compared to Haswell which falls in line with Ivy Bridge and Haswell. 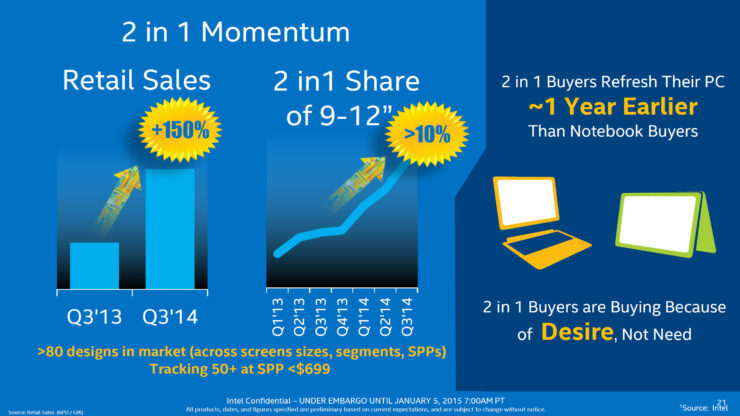 Intel hasn’t gained significant gains in the IPC department since a while but this model works for them due to non-existent competition in the x86 department and especially the targeted mobile sector. 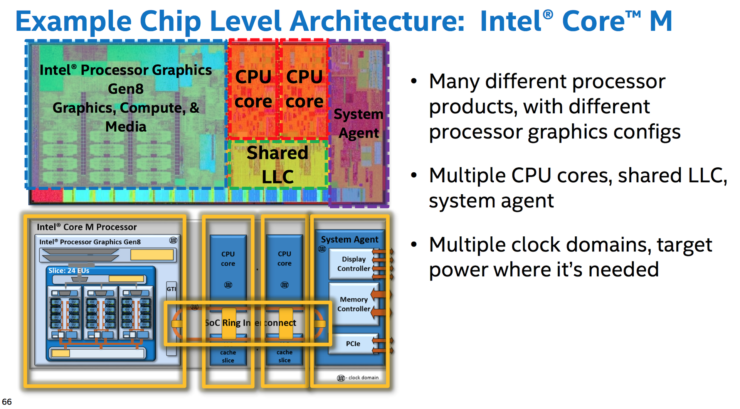 A die map of the Broadwell-U processor with the latest graphics processing unit shows that the chip features a transistor count of 1.9 Billion transistors up from 1.3 Billion transistors on a Haswell-U series processors. 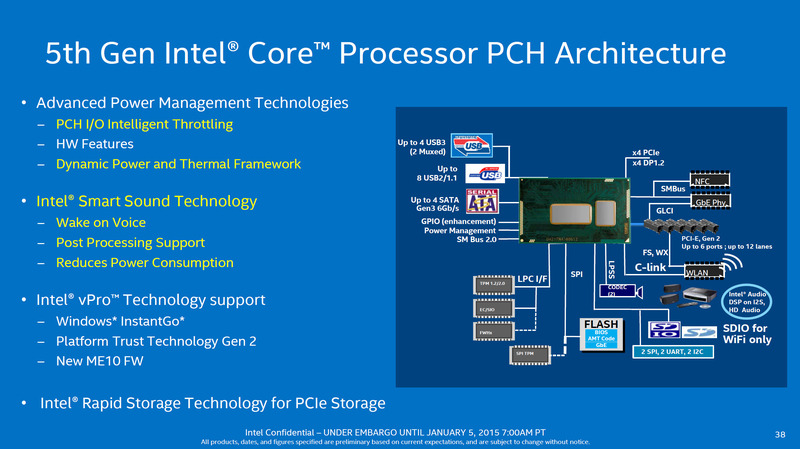 Cache is shown in a block beneath the cores which is shared across the CPU and GPU. A block for system agent, display engine and memory controller is located next to the cache and cores while a long yet thin strip of the die at the bottom is dedicated to the memory controller I/O. 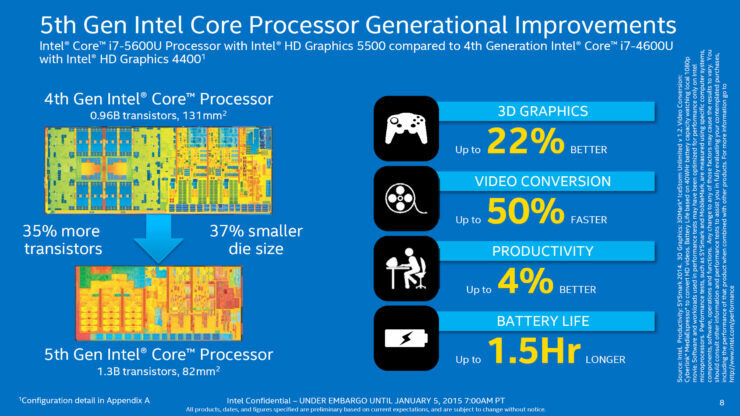 The largest area on the die is dedicated to the graphics core which is just enormous and shows how Intel is focusing on better graphics performance on the mobility side of things. The die shown is of a dual core processor and has a size of 133mm2 which is much smaller than the 181mm2 of a similar Haswell-U based dual core processor with the same technical specs. 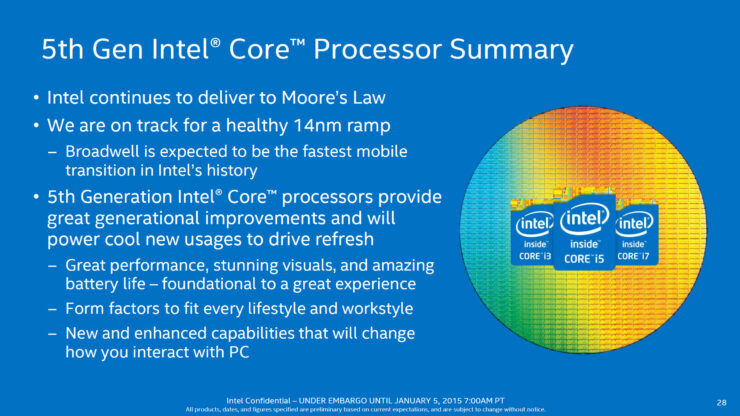 While at it, it should be mentioned that Broadwell-Y which also has 1.3 Billion transistors on a dual core die that is similar to a Haswell-U processor sits on a die size of just 82mm2 showing the difference 14nm makes. Tweaks that help deliver these enhancements include larger schedulers and buffers, larger L2 cache with dedicated 1 GB page L2, Faster floating point multiplier, Radix-1024 divider, improved address prediction for branches, faster round-trips for visualization and targeting cryptography acceleration instruction improvements. 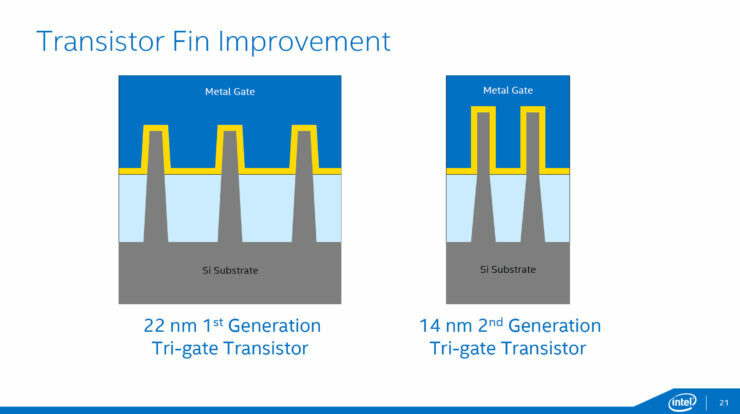 These enhancements will set the basis of the 5% IPC gain over Haswell while power efficiency will see new power gating and design optimizations. 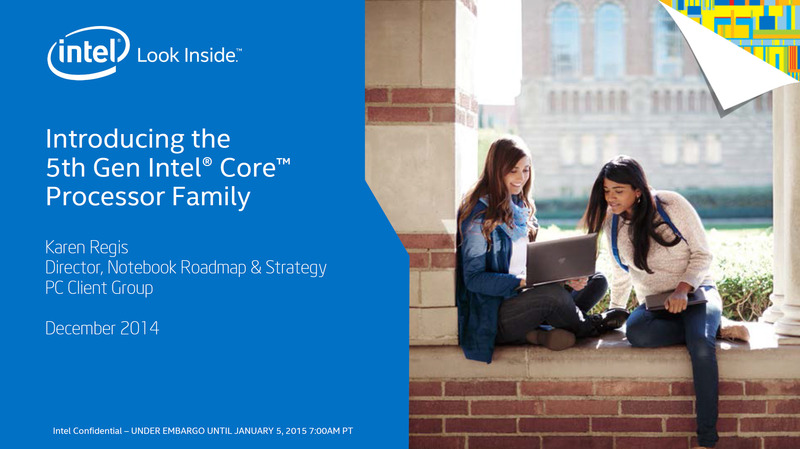 A 5% gain over Haswell is decent and since these core enhancements will scale across the entire Broadwell CPU family. Coming to the graphics side, there’s an update on that front too. The last Core M series introduced the latest Intel HD Graphics 5300 to consumers, featuring 24 Execution units up from 20 on the previous generation. The 20% increase in EU size along with several technical improvements resulted in a overall better performance from the iGP. 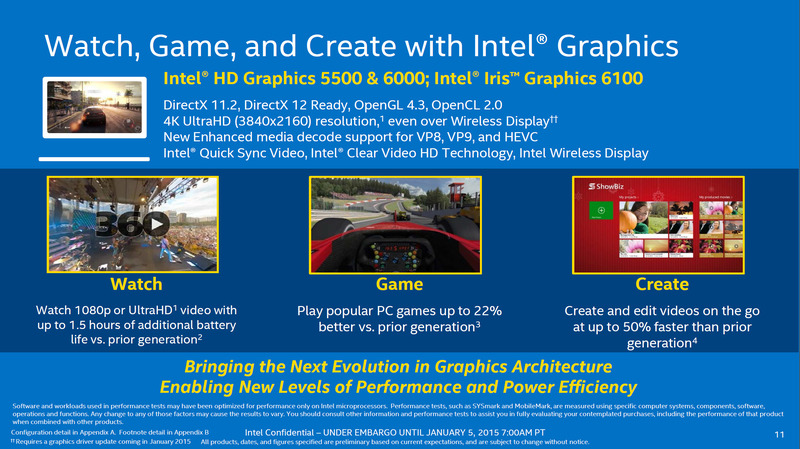 As a part of this generational graphics update, Intel has lined up three new integrated graphics processors for the Broadwell-U family. The chips are called Intel HD Graphics 5500, Intel HD Graphics 6000 and Intel Iris Graphics 6100. 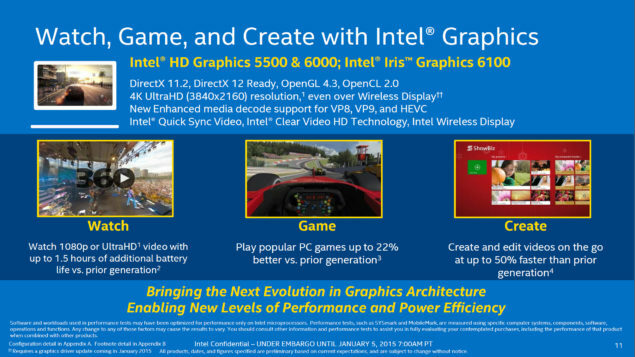 Iris is the more performance oriented and beefed up graphics processors which will see another variant with dedicated eDRAM cache later in 2015. The other two graphics processors incorporate the improvements of HD Graphics 5300 while pushing better clock speeds and integrating more cores. So listing down the chips in this order, the Iris Pro HD 6100 will feature 48 Execution units and feature a max clock speed of 1100 MHz. 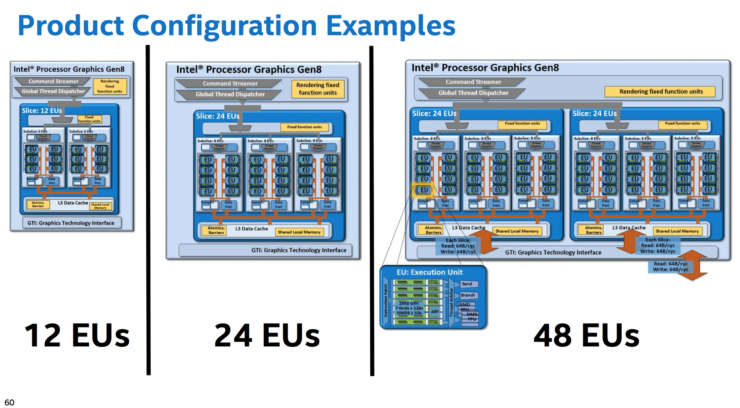 The Intel HD Graphics 6000 which is the successor to the HD 5000 that features 40 Execution unit would also end up with 48 Execution units but a lower clock speed of 1000 MHz. The Intel HD 5500 graphics chip will feature 24 Execution units and come with a clock speed of 950 MHz while the Intel HD Graphics for Pentium and Celeron processors will feature 12 Execution units with a maximum clock speed of 800 MHz. Some of the common features all of these chips will share include DirectX 11.2, DirectX 12, OpenGL 4.3, OpenCL 2.0 API support. They will be able to drive 4K Ultra HD (3840×2160) displays and through wireless too. New media decode support would be available for VP8, VP9, HEVC while Intel’s Quick Sync Video, Intel Clear Video HD, and Wireless display technology would be available across the board. 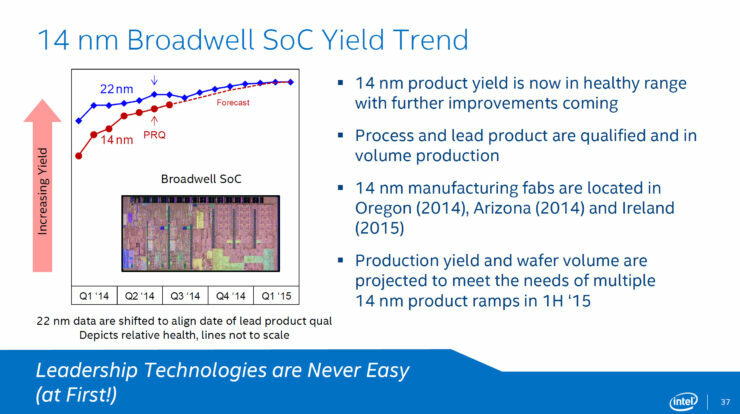 Broadwell delivers faster clock speeds thanks to more thermal headroom provided on the 14nm process, increased geometry, Z, Pixel fill rates and enhanced performance per core. 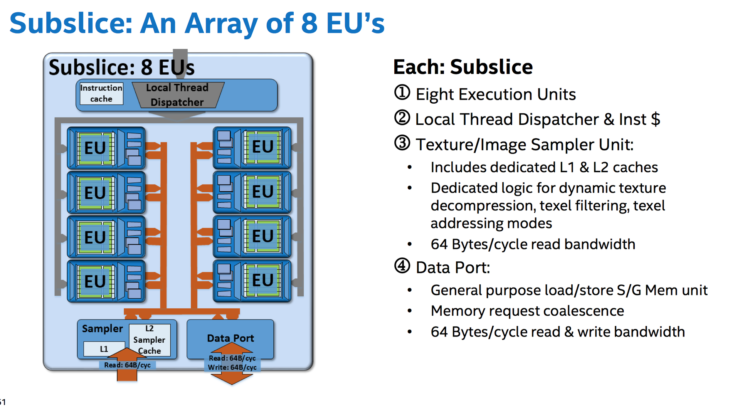 Going into much deeper details, we will find out that the 8th Generation graphics core has seven hardware threads per execution unit and 128 “GRF” registers per thread. That amounts to 28K “GRF” register per EU. The GRF register is made up of eight 32b floats and sixteen 16b half-floats and each byte is addressable. The SMT architecture of each execution unit runs cycles that can co-issue multiple instructions, from up to four various threads. A subslice of the graphics core is an array of 8 Execution units which consist of a local thread dispatch and include texture/image sample units. A data port can transfer 64 bytes per cycle of read and write instructions. The subslice can be arranged in various configurations ranging from 12/24/48 EUs. 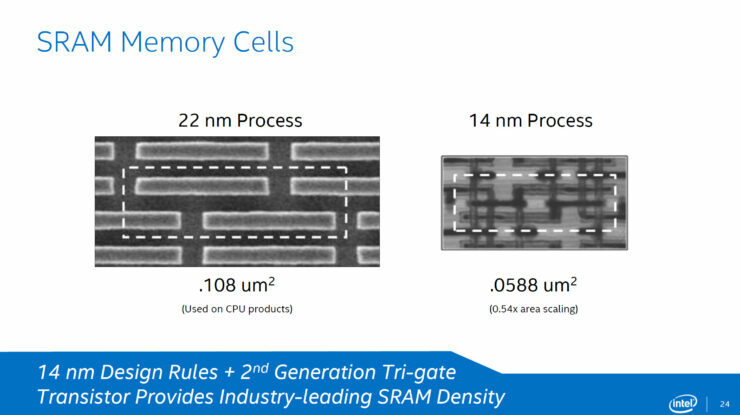 The most basic GT1 chip will feature 12 EUs, GT2 and GT3 with 24 EUs while GT3e and GT4/e with 48 EUs. 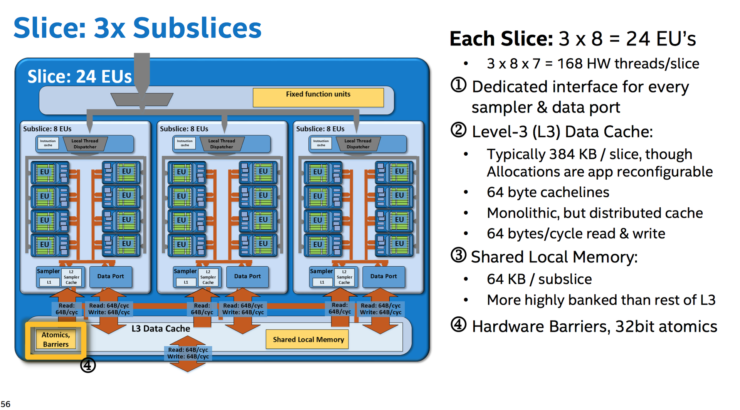 Each slice has 384 KB L3 cache which amounts to 384 KB/768 KB/1152 KB for the GT1, GT2/GT3 and GT3e/GT4 chips. Each slice also carries a 64 KB shared local memory which is more highly banked than the rest of the L3 cache. Each component of the processor is interconnected through a ring interconnect which offers a bi-directional 32b wide path. 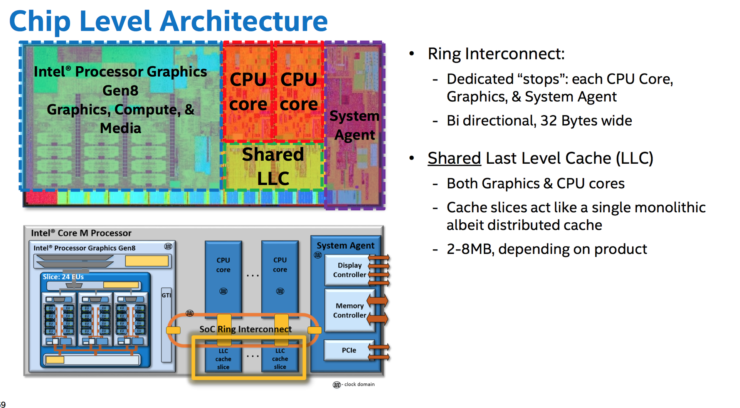 This makes up for a SOC ring interconnect which allows sharing off the LLC across the CPU, GPU and system agent. This LLC ranges from 2-8 MB (L3) depending on the product positioning. 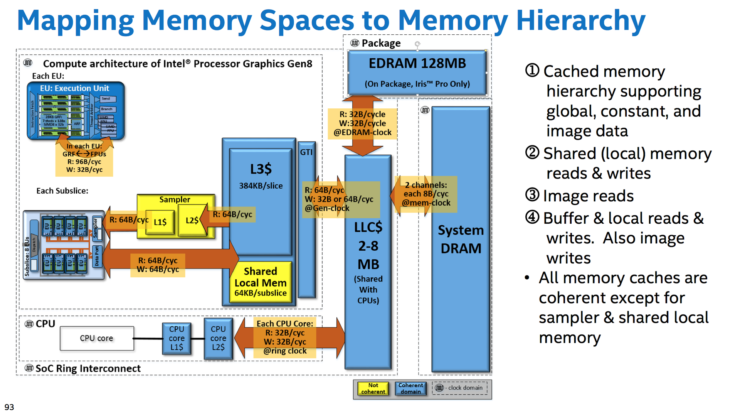 On the Iris Pro chip, a separate 128 MB eDRAM (L4) cache would be available. 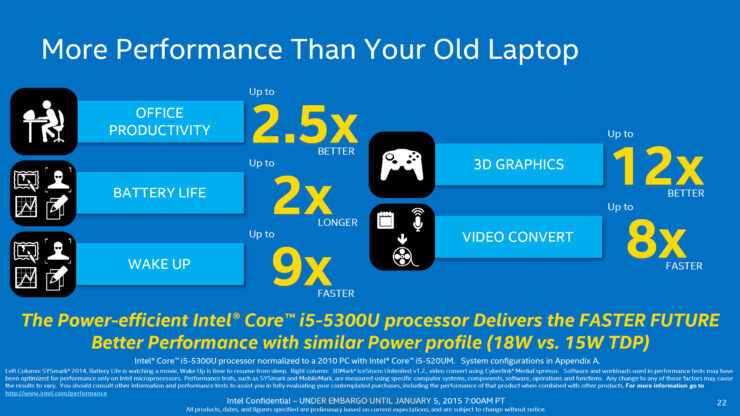 The final results of all these improvements is given in a slide which pits the Intel Core i7-5600U processor against the Core i7-4600U processor. The technical differences between the top processors include 1.3B transistors on a die that measures 88mm2 on a 14nm node while the 22nm Haswell based chip features in comparison just 0.96B transistors on a larger 131mm2 die. 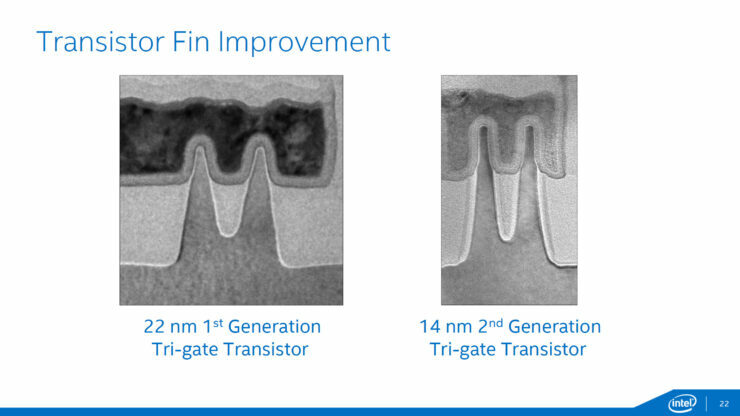 The difference here is that the 5th generation processor fuses 35% more transistors on a 37% smaller die space. Does it help improve performance and deliver better efficiency? According to Intel, Yes it does. 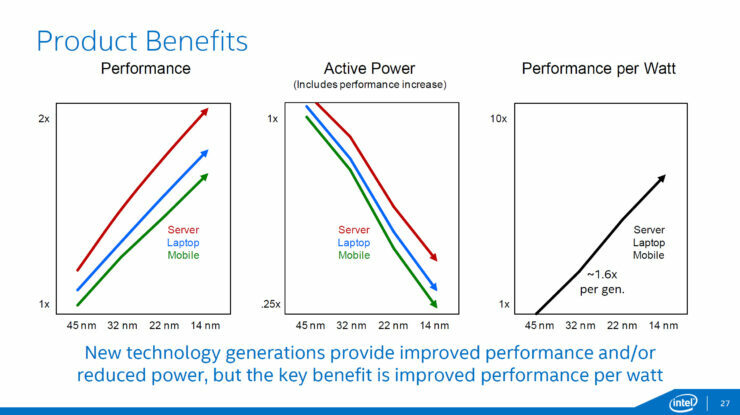 We are looking at up to 22% graphics, 50% faster conversion of video, 4% better productivity performance and up to 1.5 Hours longer battery life from 14nm powered products. The Broadwell-U platform control hub is updated with a range of new controllers and a smaller size compared to Haswell-U. There are some key features on board such as advanced power management technologies that include PCH/IO Intelligent throttling and Dynamic Power and Thermal Framework. There’s also the latest vPRO features such as Windows InstantGo, Platform Trust Technology Gen 2, New ME10 FW and Intel Rapid Storage technology for PCIe based storage devices. Talking about the controllers alone, The Broadwell PCH provides 4 USB 3.0 ports (2 Muxed), 8 USB 2/1.1 ports, 4 SATA III 6 Gbps ports, GPIO (enhancement), Power Management, SM Bus 2.0, x4 PCIe, x4 DP 1.2 (Display), SMBus to drive NFC, a Gigabit Ethernet controller, PCI-E Gen 2 upto 6 ports with 12 lanes that are provided to GLCI, WLAN and several additional codecs. 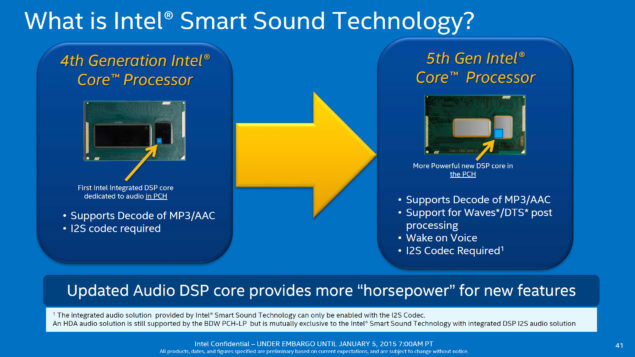 For audio, Intel has devised a more power audio DSP core which is integrated on the PCH. Part of the Smart Sound technology, this core supports Decode of MP3/AAC, Supports Waves/DTS post processing and has wake on voice feature. Coming to the lineup, there will be 17 different Broadwell-U processors, all of which would be available in BGA packaging. The lineup is divided into 28W and 15W products with the majority of the 13 processors featuring a TDP of 15W while the remaining four chips featuring a 28W TDP. 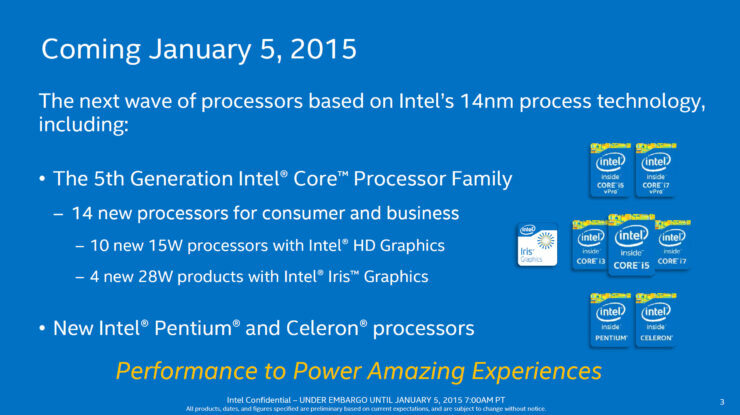 Let’s talk about the 28W processors first. The flagship Broadwell-U series processors is the Core i7-5557U which like the rest of the lineup is a dual core featuring a multi-threaded design. It has a base clock of 3.1 GHz and 3.4 GHz boost clock, features 4 MB of L3 cache, 1866 MHz memory support. The processor is integrated with the Iris Graphics 6100 chip with 48 EUs, a clock speed of 300 MHz (Base) and 1100 MHz (Boost). The chip has a $426 price tag so it’s not hard to assume that devices based on the processor will be priced around the $1000+ US mark. 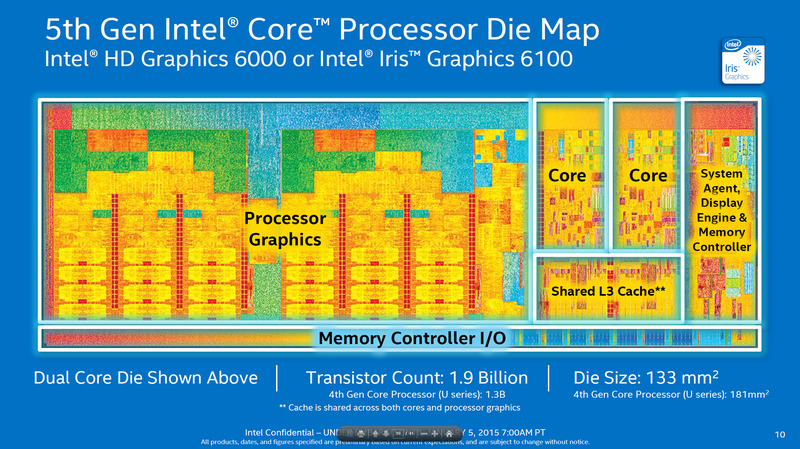 All of the 28W Core family features the Iris Graphics 6100 chip. 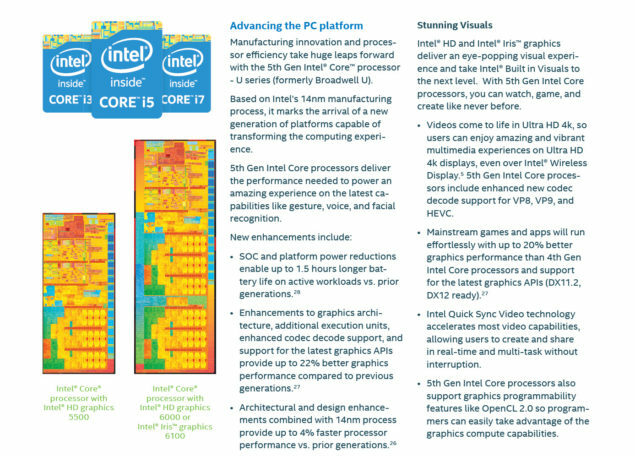 These include the Core i5-5287U, Core i5-5257U and the Core i3-5157U. The Core i5 and Core i3 parts ship with 3 MB L3 cache and the graphics clock varies fro 1100/1050/1000 MHz. The rest of the three processors have a price listed of $315 US. Clock speeds mentioned are 2.9/3.3 GHz for the Core i5-5287U, 2.7/3.1 GHz for the Core i5-5257U and 2.5 GHz for the Core i3-5157U. With the technical details briefly described above, let’s move on to the more key details regarding products based on Broadwell-U. 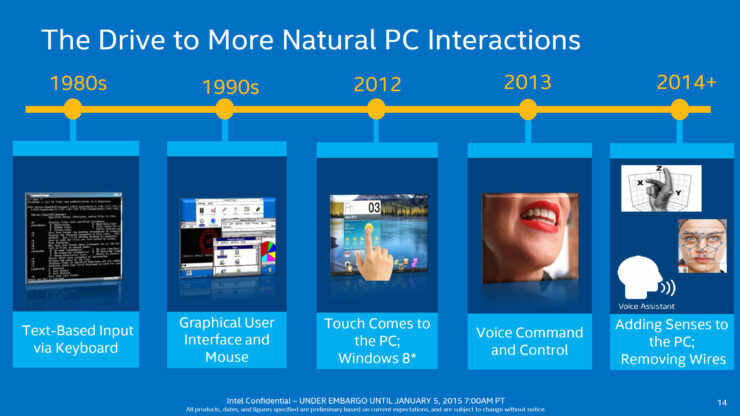 First of all, Intel has three key features of their Broadwell-U products; Great PC and graphics performance, Longer Battery Life and More naturally immersive experiences. We have mentioned the devices the new processors will be integrating inside but how about detailing some of the new features of these devices. 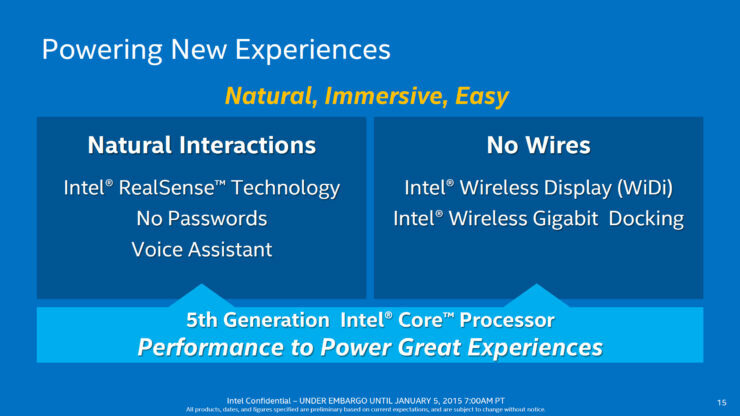 Intel does have two updates on that side, first are means to naturally interact with the device through Intel’s RealSense technology and Voice Assistant. 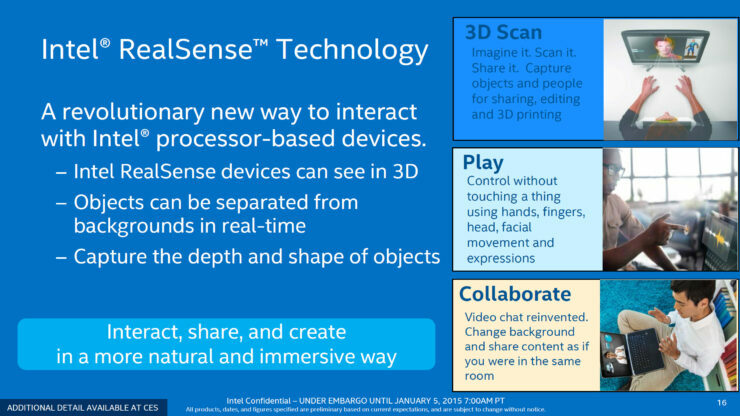 The RealSense technology has three features, it can scan objects and people real-time in 3D for sharing, editing and 3D printing. It can also allow control without touching any thing. You can use you hands, fingers, facial movement and even expressions to let the device do the thinking based on your style of input. Lastly, there’s a new video chat feature which allows you to share content or just change the background as if you were in the same room. These are common features which might just be use ful for consumers. Then there’s voice assistant, a software which takes simple speech as a mean of input. You can talk to your device just like you do with Google Search on mobility devices today or with Siri on Apple devices. 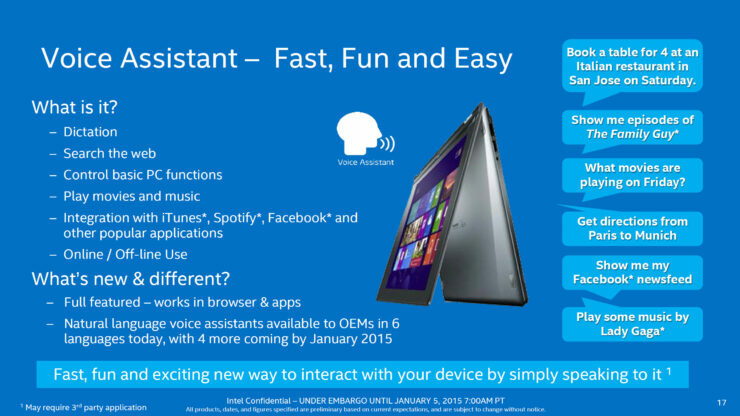 Upcoming platforms such as Cortana for Windows 10 will also deliver a similar approach. The second feature is that none of the device w ill use any wires or simply “No Wires” devices. However, most of this has to do on users preferability whether they want to dock in a wired mouse for stuff, etc. 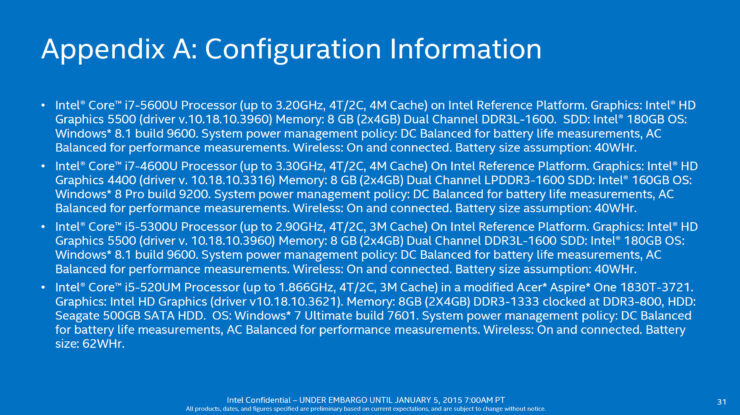 Anyways, the feature has two key things, Intel’s Wireless Display (WiDi) and Intel’s Wireless Gigabit Docking. 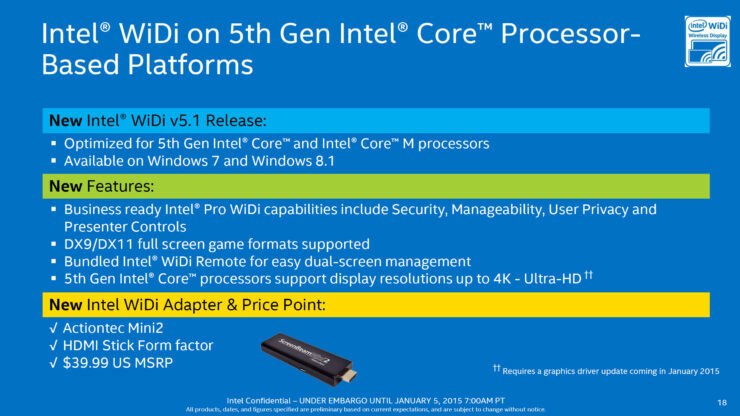 Intel’s WiDi v5.1 will be optimized for both Core M and Broadwell-U processors and available for Windows 7 and Windows 8.1 OS. Some of the new features of WiDi v5.1 include DX9/DX11 full screen games support, bundled WiDi remote, 4K Ultra HD resolution support and Business ready capabilities such as security, user privacy and presenter controls. A WiDi adapter will also be launched which will feature the HDMI stick form factor and priced at $39.99 US. 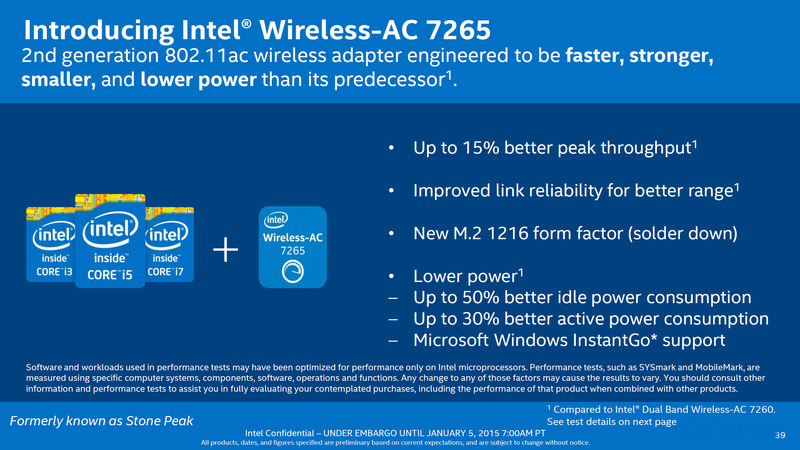 Intel has also introduced a better wireless adapter with Broadwell-U known as Wireless-AC 7265 which is a 2nd generation 802.11ac adapter that delivers faster, stronger, smaller and lower power than its AC 7260 predecessor. Some results show that the new adapter has 15% better peak throughput, better range, comes in M.2 form factor and has overall lower power. 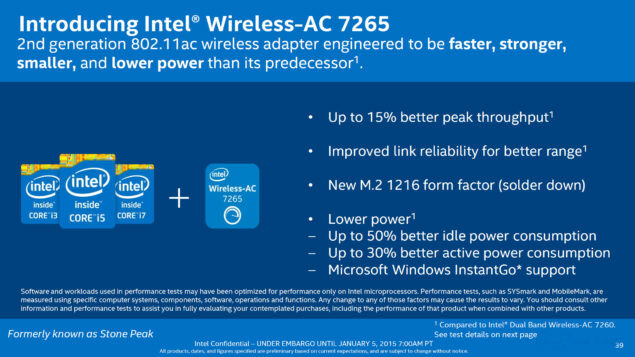 The new adapter will be featured on the Core i7, Core i5 and Core i3 processors. 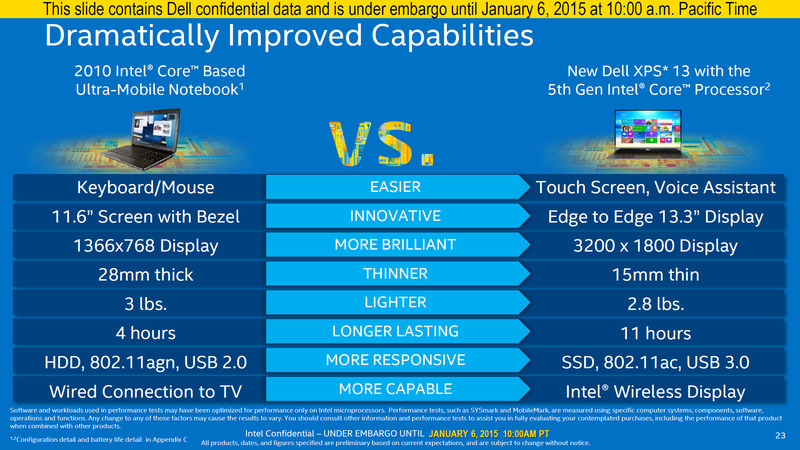 This is it as far as Broadwell-U goes and we will make sure that we update you with the devices as soon as they start hitting the web after Intel’s CES presentation commences. There are a wide range of devices such as Dell’s new XPS 13 with 5th generation Core processor technology which we will be updating moments ahead. ACER is updating their lineup of chromebooks and notebooks with Intel’s latest 5th generation Broadwell-U processor. The lineup includes the Aspire S7 Ultrabook which features aweight of just 2.87 lbs and a Corning Gorilla Glass 2 display boasting a resolution of 2560×1440 or 1920×1080. Underneath the full aluminum body, crammed inside the exterior is 8 GB of DDR3 memory, 128/256 GB of SSD in RAID 0 configuration and 802.11ac wireless connectivity. 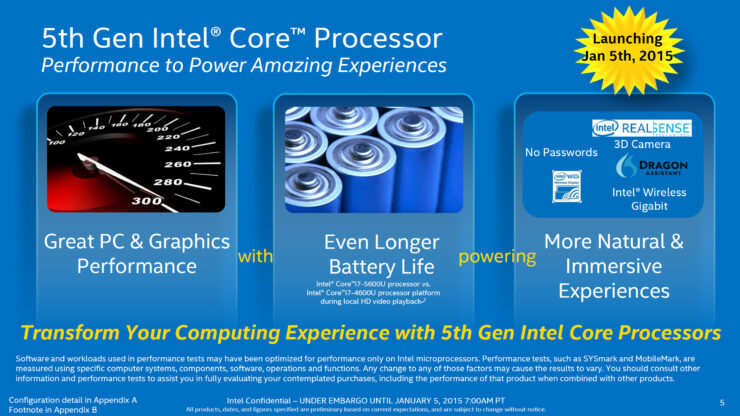 The device comes with either a Core i5 or Core i7 processor. 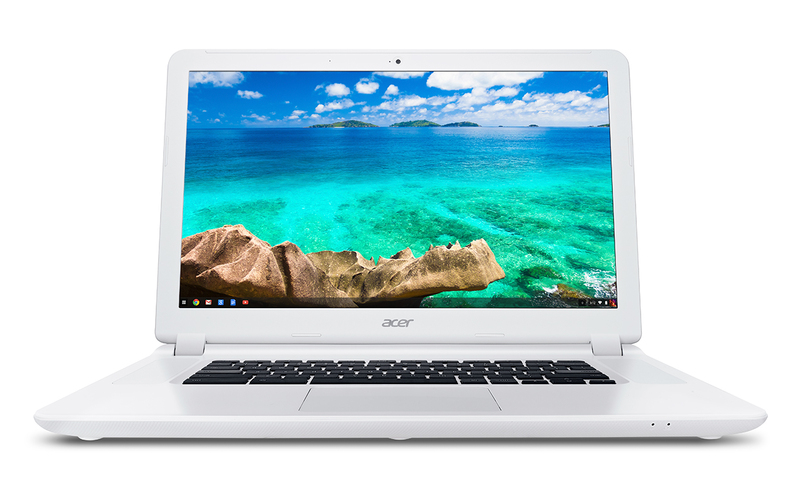 The second device coming from ACER is their Chromebook 15 which as the name makes it obvious is a 15″ Chromebook and also the first. Boasting a 15.6″ display, it features a resolution of 1080P while some models will also support the standard resolution of 1366×768. 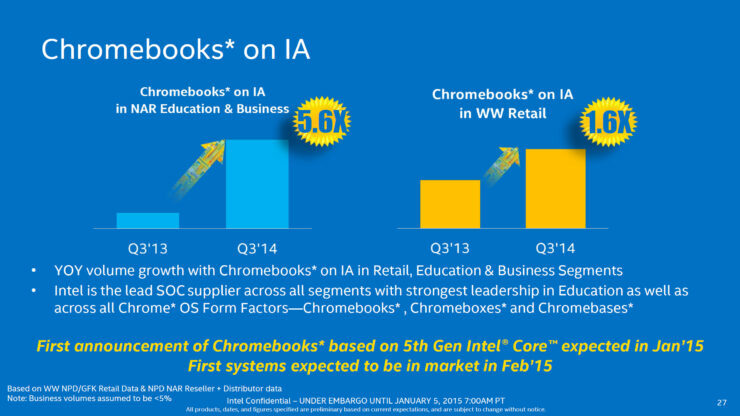 Packed with either a Celeron/Pentium/Core i3 CPU, the Chromebooks will feature a battery time of eight hours. The entry level model will ship with 2 GB DDR3 ram and 16 GB storage space with a cost of $249 while the more expensive models will ship with 4 GB ram and 32 GB storage space. 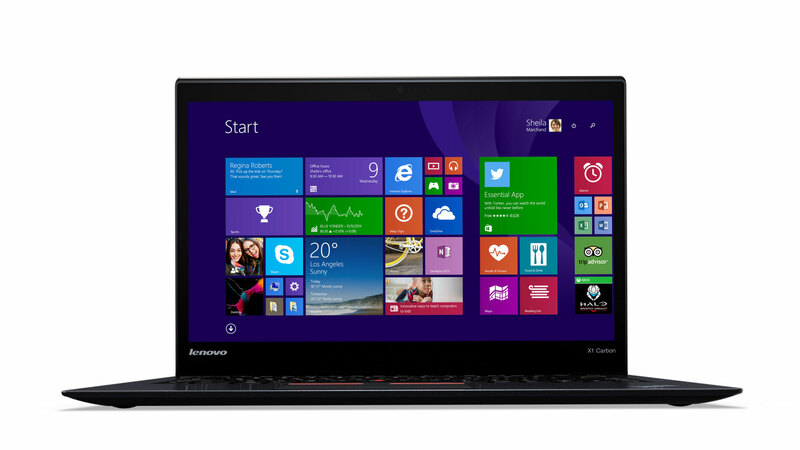 Lenovo is unleashing their latest ThinkPad X1 Carbon Notebook with Broadwell-U featuring a gorgeous new black design. 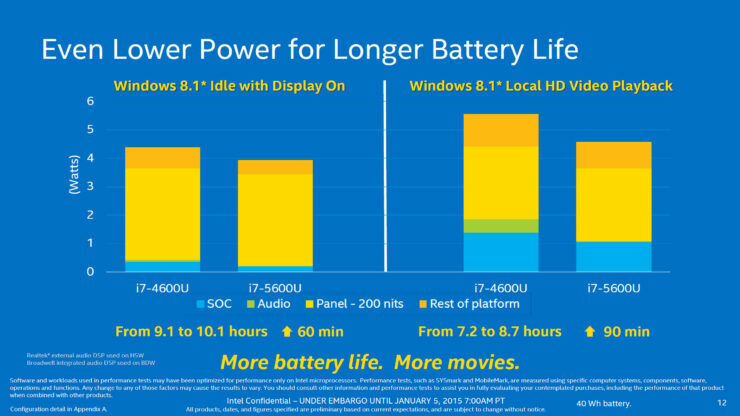 Featuring a battery that will last 10.9 hours (50Wh Battery), the notebook will also feature an improved performance to applications with the new Broadwell processors. The ThinkPad X1 Carbon will come with a 14″ touch enabled IPS display featuring a resolution of 2560×1440. The whole thing weighs at just 2.87 lbs and has price starting at $1250 US. Other specifications include 8 GB of DDR3 memory, M.2 PCI-e storage capability that allows NGFF (Next Generation Form Factor) SSDs of up to 512 GB capacities support and 2 x 2 802.11 AC WiFi wireless capability. Lenovo has also updated their T550, T450S, E550, E450 and L450 Thinkpad notebooks with the latest specifications and Broadwell processors. Dell is also unveiling their latest Dell XPS 13 Ultrabook at CES 2015 powered by Intel’s 5th Generation Broadwell processors. The new Dell XPS 13 will feature a Core series processors and come with a 13.3″ Edge to Edge display which simply means that it would have thinner bezels compared to the previous offerings. The display will be touch screen and boast a resolution of 3200×1800. The whole device is just 15mm thin and weighs 2.8 lbs. Dell has claimed that the XPS 13 can last 11 hours of battery life and comes with Intel WiDi, SSD, USB 3.0 and 802..11 AC capabilities.